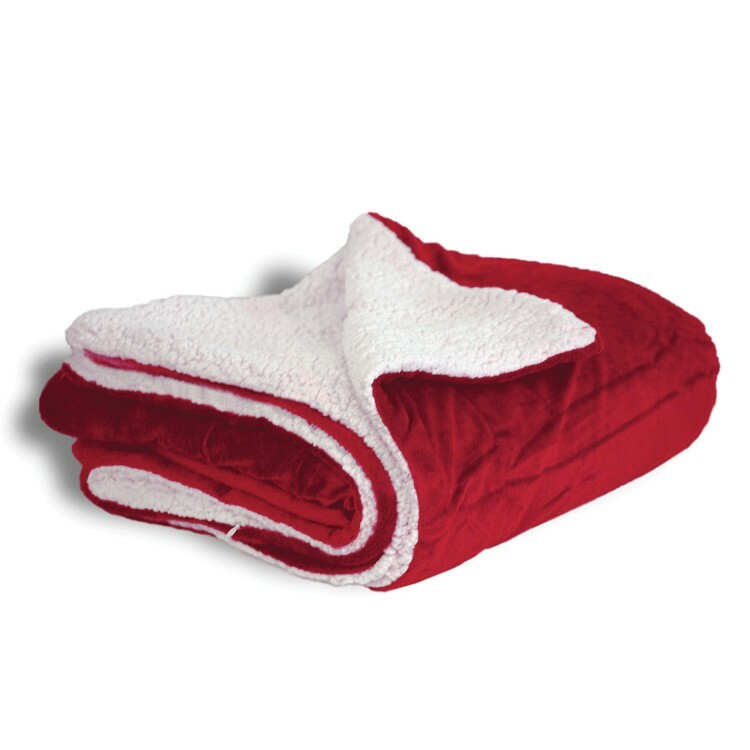 Our red sherpa throw blanket makes it easy for you to enjoy double-sided luxury. 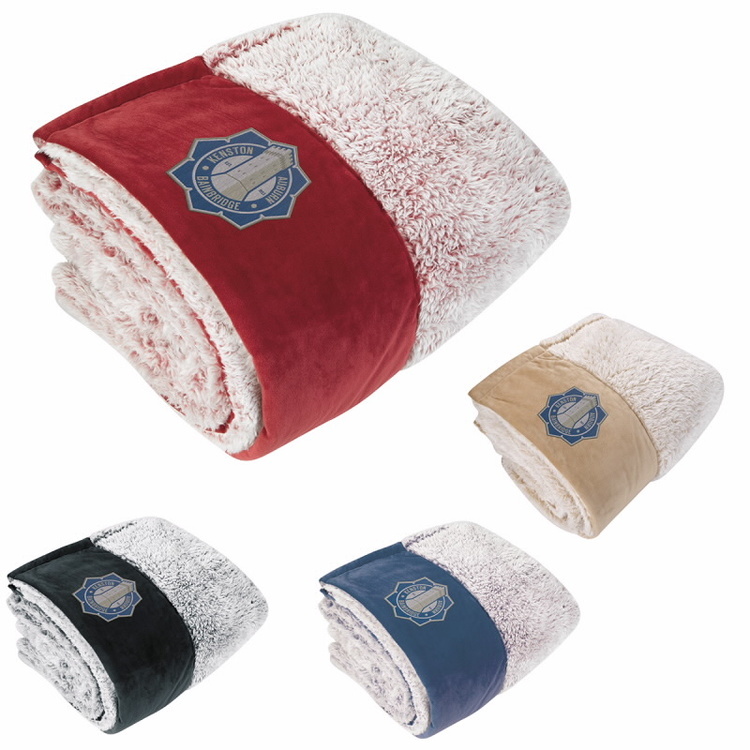 This useful 50" x 60" product features faux micro mink on one side and lambswool Sherpa on the other to satisfy any mood. Customize an imprint on the 8" x 8" imprint area; embroider your company name, logo, cause, event title and much more. 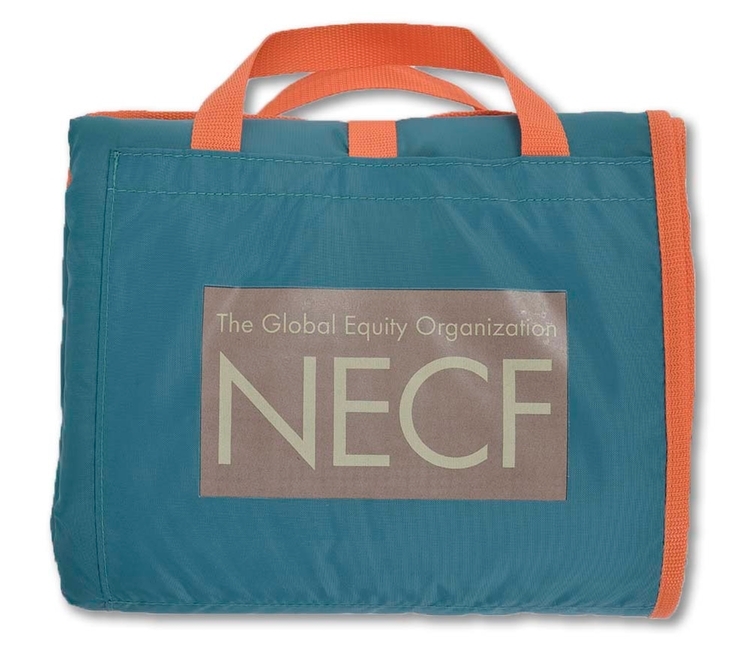 A clear vinyl carrying bag with rope handles helps make this a perfect corporate gift or incentive. Don't miss out! 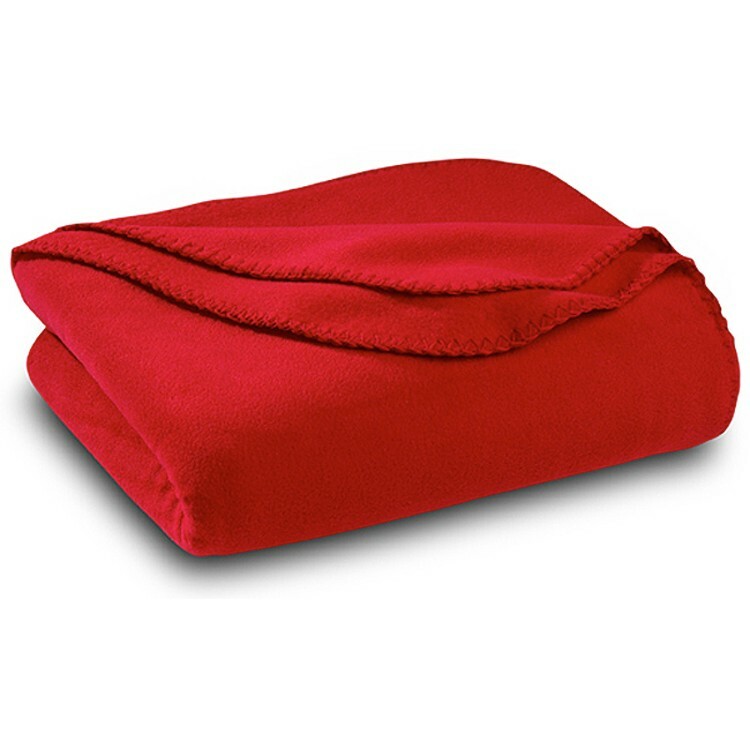 Keep warm this winter with the help of our red fleece blanket. 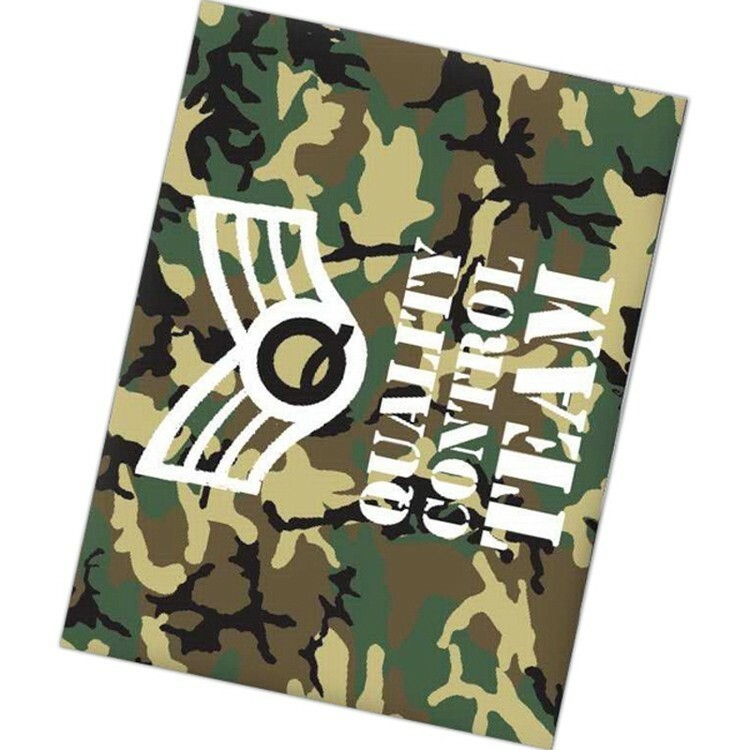 This 100% polyester fleece blanket with an anti-pill face, brushed finish and matching whip stitch can be embroidered with your company name, logo, cause, event title and much more. 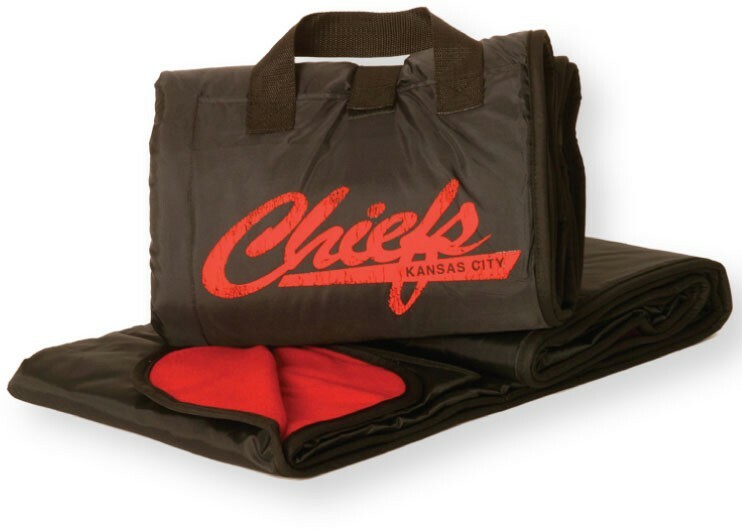 Our product is great for corporate gifts, client appreciation, new product introductions and more. Accessorize with other fleece items such scarves, beanies, headbands and neck gaiters at additional cost. Have your clients snuggle up with your brand! 30" x 40" Baby Blanket Bundle the little ones in our incredible soft, super thick blanket. Just be careful, they will want one in every color! Polka dot jacquard pattern. Reversible and color inverted on opposite side. 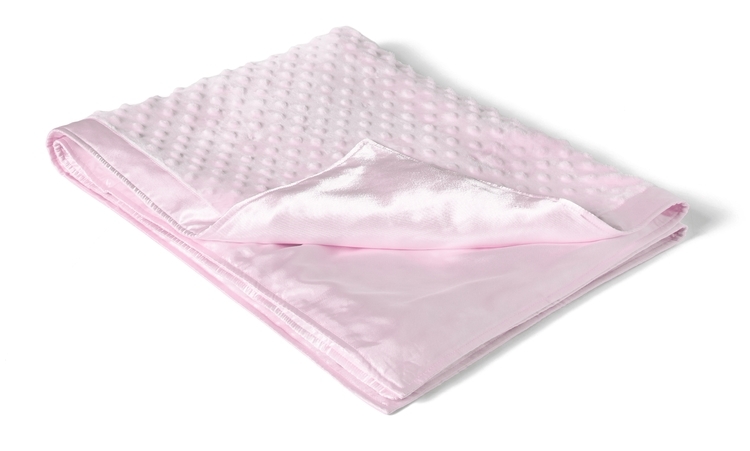 30" x 40" Baby Blanket The Cuddle Fleece Blanket features a polyester satin binding and backing with ultra soft textured microfiber front. Bound to be baby's favorite! 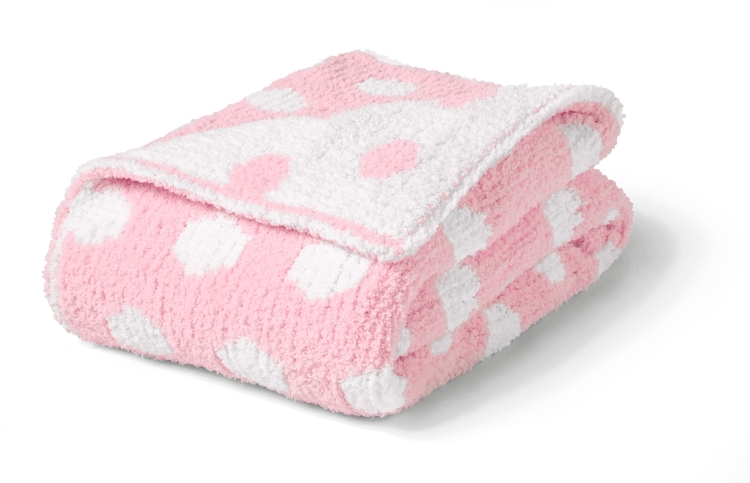 30" X 40" Baby Blanket Bundle little ones in our incredible "baby soft" micro chenille blanket. Just be careful, they will want one in every color! Rib knit finished edges. 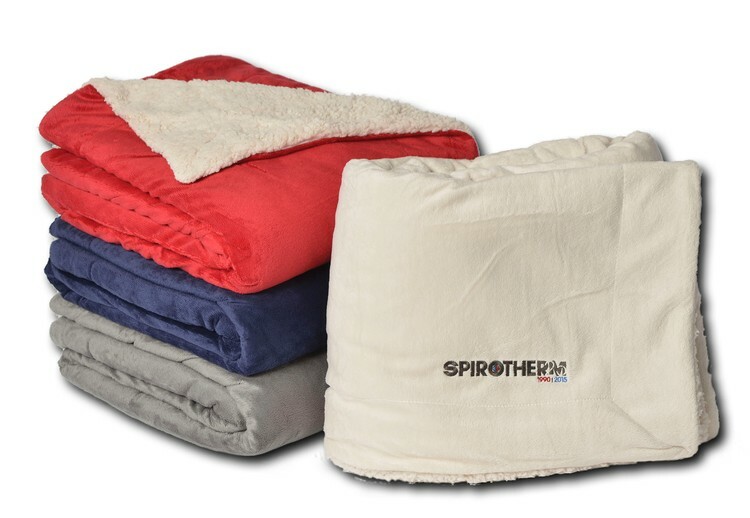 In virtually every aspect, the warm coral fleece Brighton Stripe Blanket outshines all others. 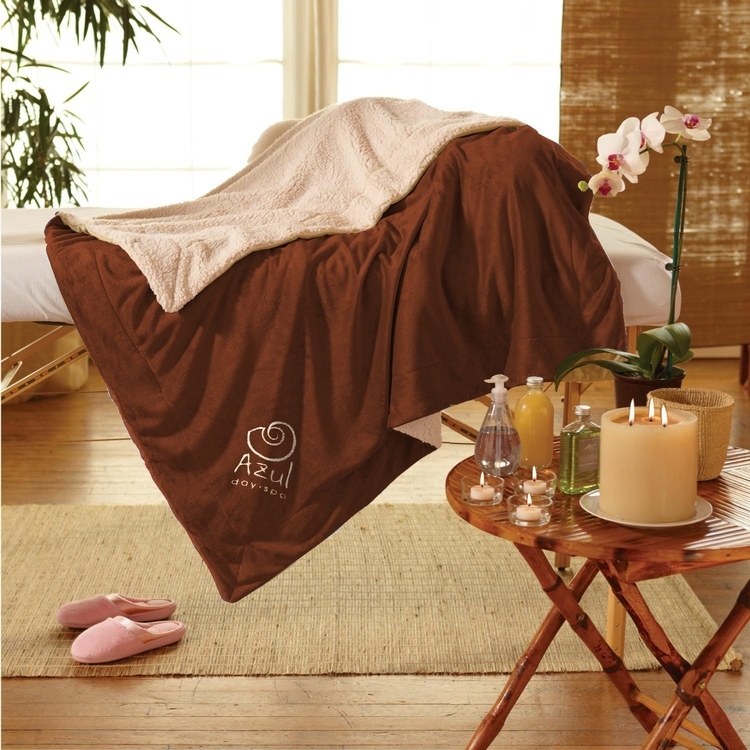 At 60” x 70”, this blanket is large enough for two and brings unmatched value to any promotion. 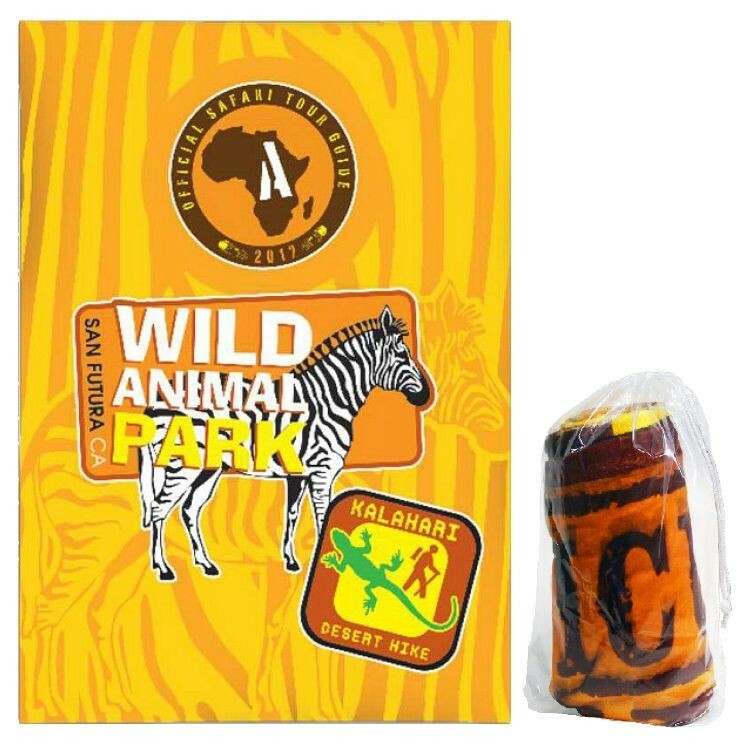 Extremely soft and extra large, this one-of-a-kind blanket gives your brand the shimmer and shine it needs to stand out. Available in navy, black, or grey. Packaged in vinyl carry case. It’s all about the stripes! 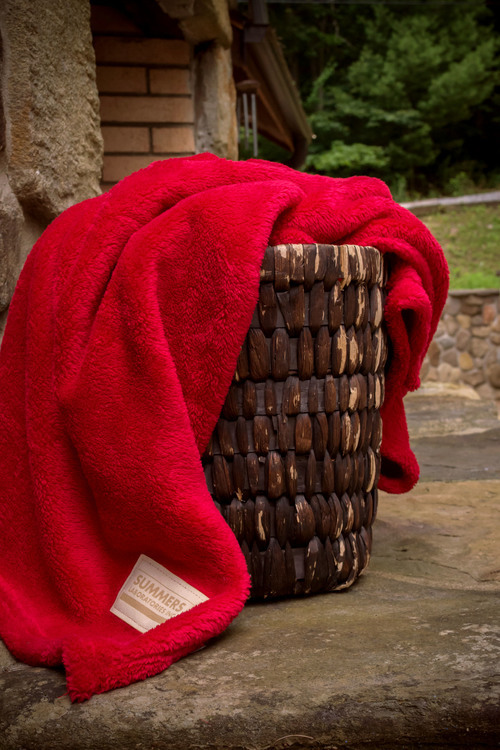 With a cozy combination of micro plush and soft ribbed flannel, plus its enormous 60” x 70” size, the Regency Striped Blanket provides the perfect royal touch. 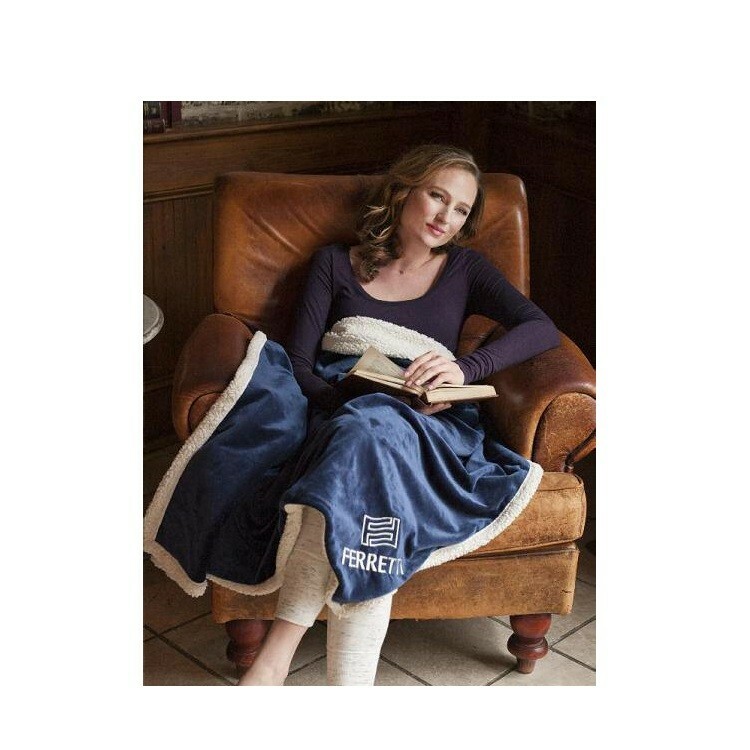 Ideal for holding court on rainy days with a favorite book on the sofa. It even has the bonus of a hidden pocket to hide embroidery backing. The perfect way to associate your name with enduring comfort. 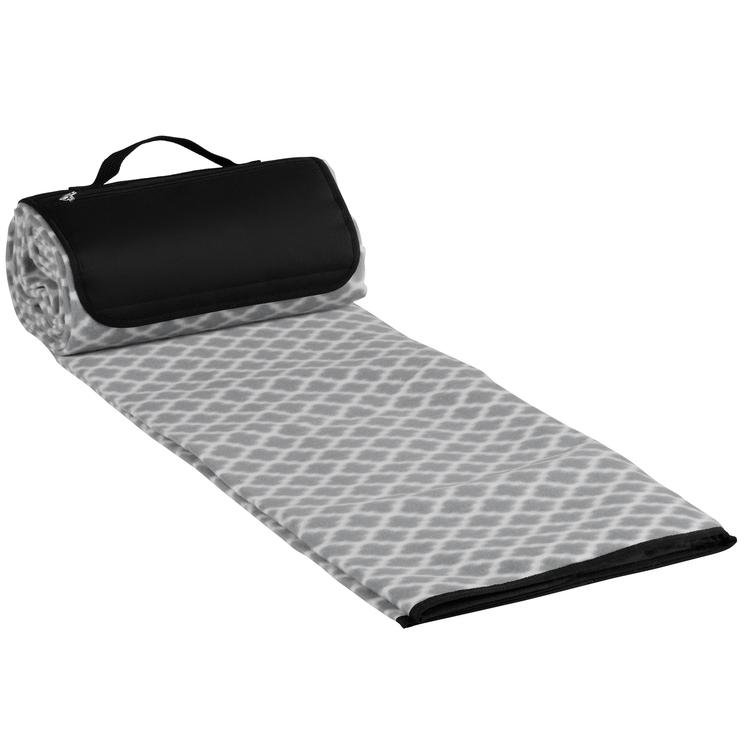 Available in light silver with black pinstripes on the front and granite grey on the back and packaged in vinyl carry case. 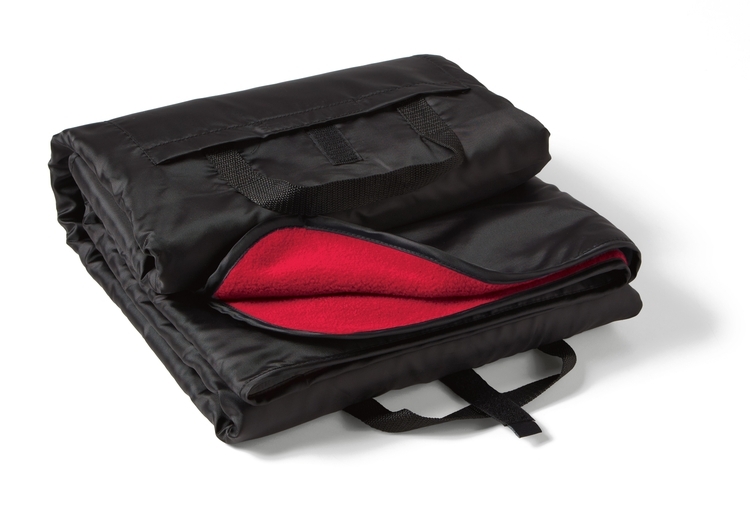 This travel blanket is lightweight, compact and easily packable. Great for travel and hospitality industries. 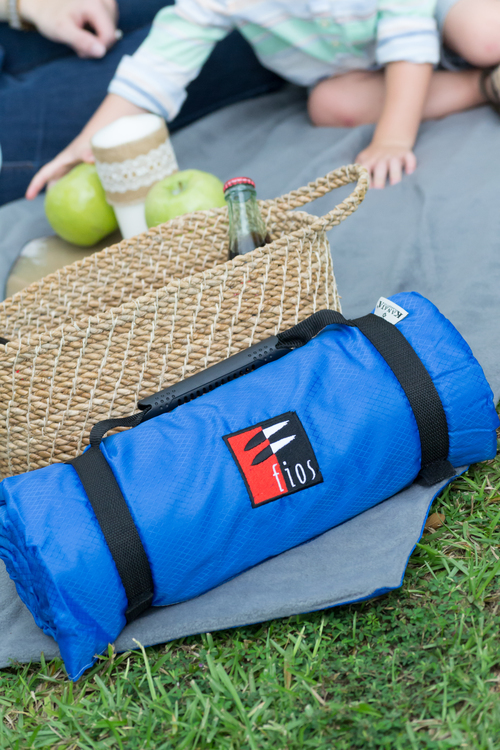 Foldable Picnic Blanket is made by 600D oxford fabric with floral pattern. The light weights with designed handle makes it easily to carry anywhere. Waterproof fabric can help you face any tough outdoor condition. A good equipment for outdoor activity. Luxury never felt so good! 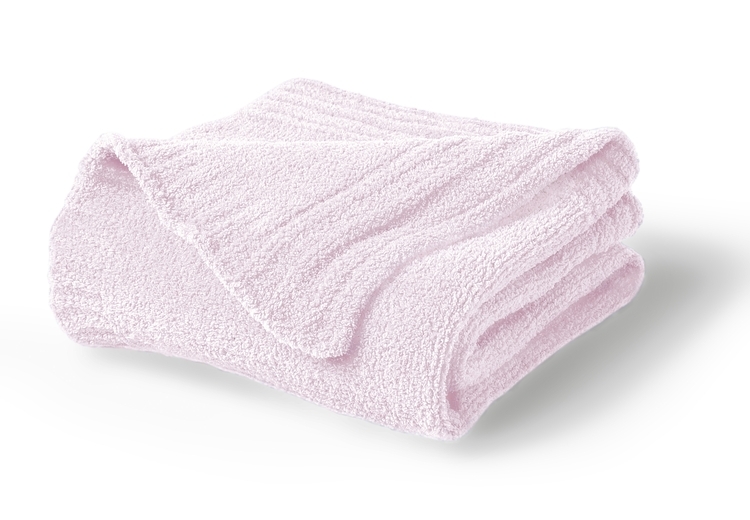 Wrap yourself in the warmth of this ultra plush and super soft blanket. Rich colors and fabrics combine for fashion and function. Keep warm this winter with the help of our charcoal grey fleece blanket. 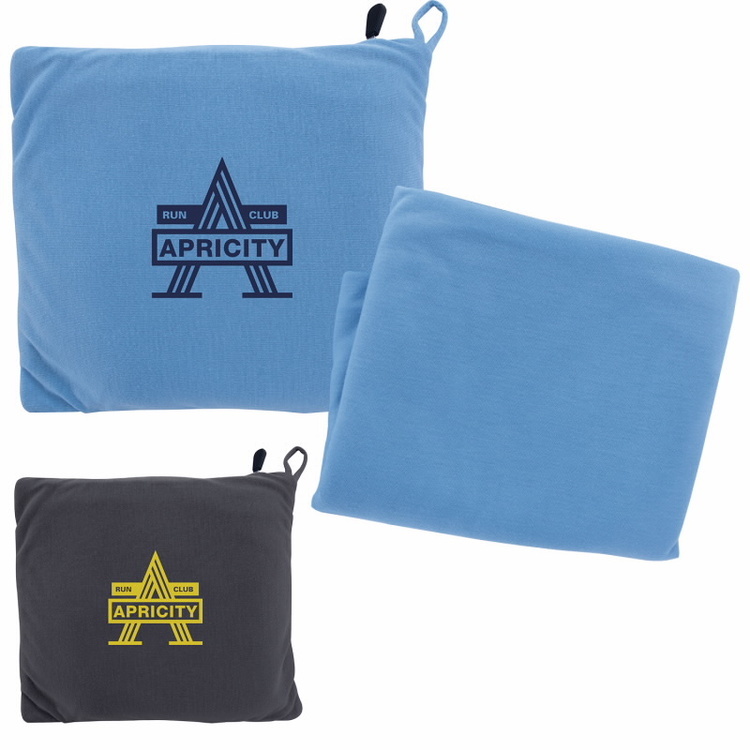 This 100% polyester fleece blanket with an anti-pill face, brushed finish and matching whip stitch can be embroidered with your company name, logo, cause, event title and much more. Our product is great for corporate gifts, client appreciation, new product introductions and more. Accessorize with other fleece items such scarves, beanies, headbands and neck gaiters at additional cost. Have your clients snuggle up with your brand! 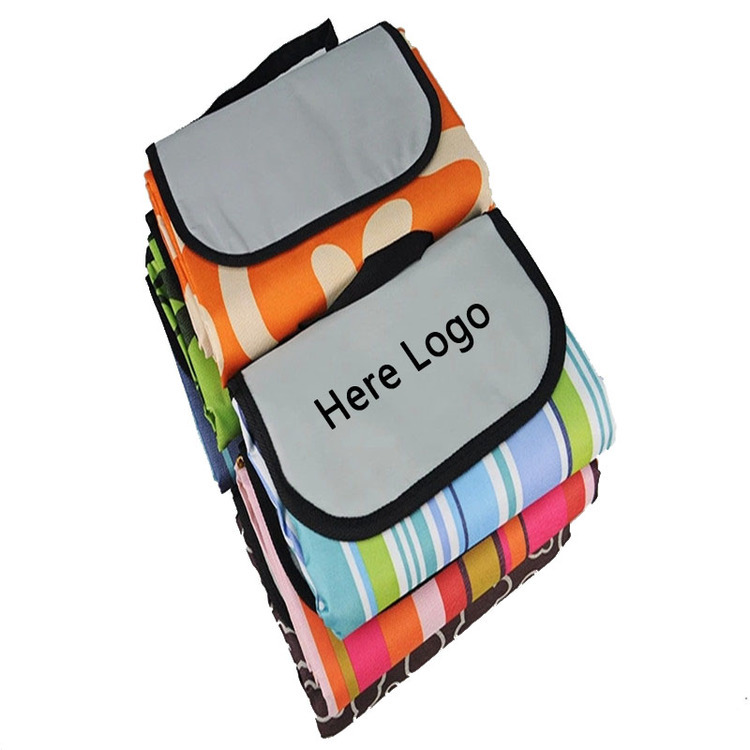 This roll up fleece blanket is made of 100% soft polyester fleece and features a hook and loop fastener closure with carrying strap handle. It unfolds to about a 4’ x 5’ area. It is surface washable. Keep warm this winter with the help of our navy blue fleece blanket. 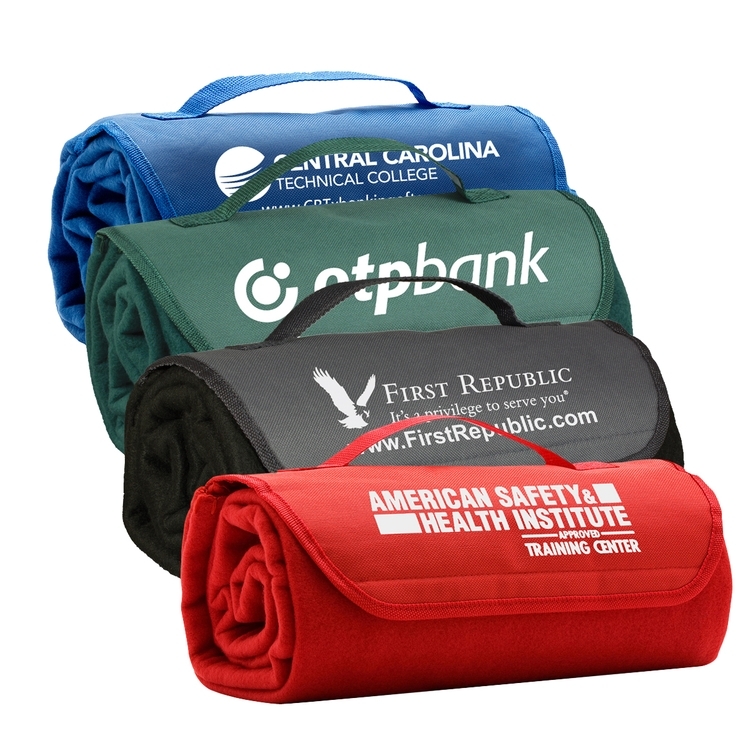 This 100% polyester fleece blanket with an anti-pill face, brushed finish and matching whip stitch can be embroidered with your company name, logo, cause, event title and much more. Our product is great for corporate gifts, client appreciation, new product introductions and more. Accessorize with other fleece items such scarves, beanies, headbands and neck gaiters at additional cost. 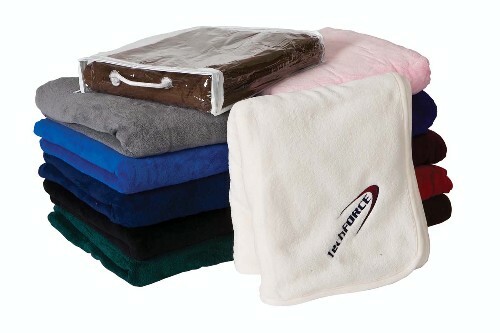 Have your clients snuggle up with your brand!